The sixties were a time when radical movements learned to embrace twentieth-century Marxism. 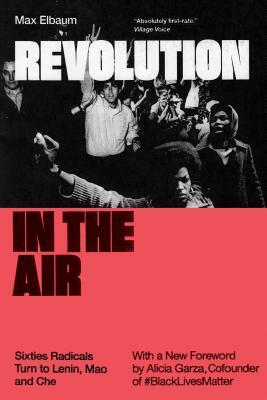 Revolution in the Air is the definitive study of this turning point, and examines what the resistance of today can learn from the legacies of Lenin, Mao and Che. It tells the story of the “new communist movement” which was the most racially integrated and fast-growing movement on the Left. Thousands of young activists, radicalized by the Vietnam War and Black Liberation, and spurred on by the Puerto Rican, Chicano and Asian-American movements, embraced a Third World oriented version of Marxism. These admirers of Mao, Che and Amilcar Cabral organized resistance to the Republican majorities of Nixon and Ford. By the 1980s these groups had either collapsed or become tiny shards of the dream of a Maoist world revolution. Taking issue with the idea of a division between an early “good sixties” and a later “bad sixties,” Max Elbaum is particularly concerned to reclaim the lessons of the new communist movement for today’s activists who, like their sixties’ predecessors, are coming of age at a time when the Left lacks mass support and is fragmented along racial lines. With a new foreward by Alicia Garza, cofounder of #BlackLivesMatter. Alicia Garza is Special Projects Director for the National Domestic Workers Alliance, cofounder of #BlackLivesMatter organizer, writer, and freedom dreamer.